The book 1991. Janvāris. 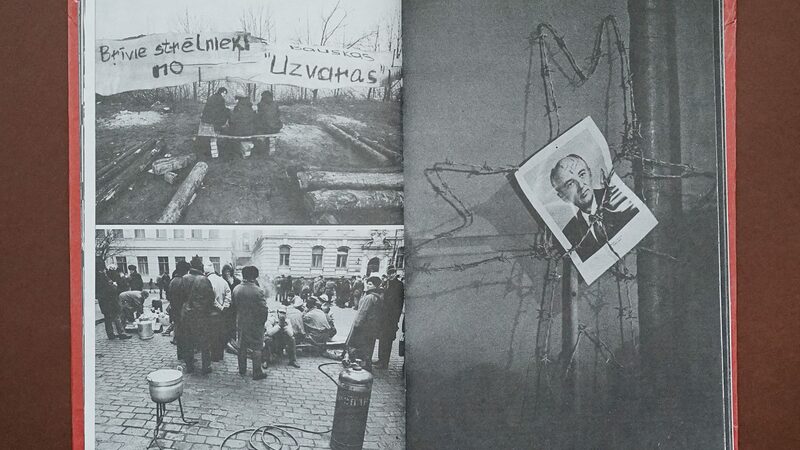 Latvija (1991) issued by the Culture Foundation compiles visual evidence of the events on the barricades in January 1991. Following the attack of the USSR troops on the defenders of the Vilnius Television Tower, people began building barricades on the streets of Old Riga using building materials and agricultural machinery to protect strategically important objects from the repetition of a similar scenario in Latvia. The barricades are considered to be one of the most important events in Latvia’s path to independence. At first, the book appears to be a small-budget project: thin pages, questionable print quality, saturated information; however, it symbolically echoes with the press publications of the time that equally might be accused of similar technical troubles, yet they played a crucial role in shaping public opinion at the time. Images are arranged chronologically, starting with 2 January, when the special militia unit OMON occupied the Press House, and ending with 3 March, when 74% of Latvian residents voted in favour of independent and democratic Latvia in the referendum. In the middle of the book there are reports from meetings, political debates, the everyday scenes on the barricades, as well as the most dramatic views – the OMON’s attack on the Ministry of Interior, resulting in the deaths of five people, including cameramen Andris Slapiņš and Gvido Zvaigzne. Every now and then there are also reproductions, mainly from foreign newspapers, which provide a broader socio-political context. Among the authors there are both press photographers (Boriss Koļesņikovs, Elmārs Rudzītis, etc.) and art photographers (Māra Brašmane, Vilhelms Mihailovskis), but most of the authors have some connection with the long-forgotten Photography Association of the Latvian Culture Foundation (the LCF; in the book it is referred to as the Photo Information Publishing House), which was founded in 1988 and organised various photography-related events. It is significant that the book was issued urgently. “The decision to publish the book was already taken by the Board of the LCF Photography Association in February 1991. At the end of March and the beginning of April, the potential layout was prepared and approved by the LCF,” recalls the book editor Vilnis Auziņš (1948). “The speedy actions were driven by the fact that most of the images could be easily found and no one had to beg the authors in a time-consuming manner, because they responded instantly. The layout was ready for printing in May, and the management of Paraugtipogrāfija (publishing house) was ready to do the work as a matter of urgency, but then due to unknown reasons the LCF wanted to slow down this activity. 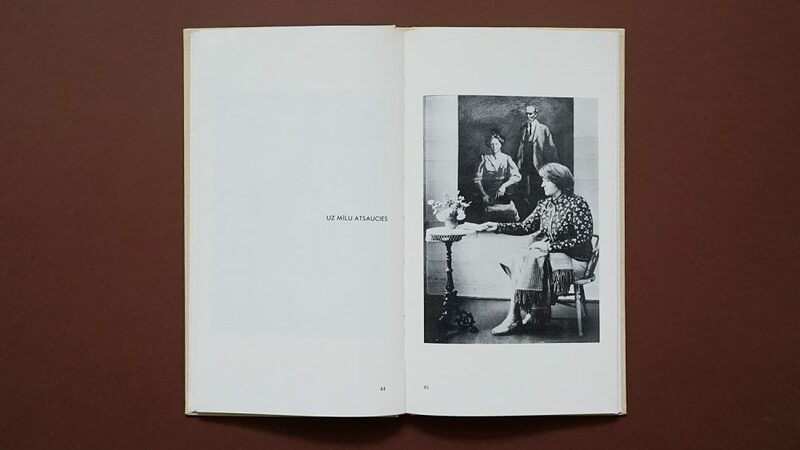 The book was published only after the August coup in late 1991.” The author of the concept and design of the book was Ingrīda Zābere (currently – Anna Aizsilniece), while the editor of the images was Andrejs Grants. “I prepared the proposal for Ingrīda Zābere together with Kārlis Freibergs, who was one of the editors of the [newspaper] Atmoda (Awakening) English edition. Her crucial contribution is the face of the book – the cover and the design of dates. She and Grants made very small adjustments to the selection of images and their size,” adds Auziņš. The artist of the book remembers that at the LCF she had access to a Macintosh computer with just one font. “It was hard to design something in a beautiful way, as I wanted, because the technical possibilities were limited. I had to make a rhythm, a story. The torn edges were in fashion, too,” recalls Anna Aizsilniece. 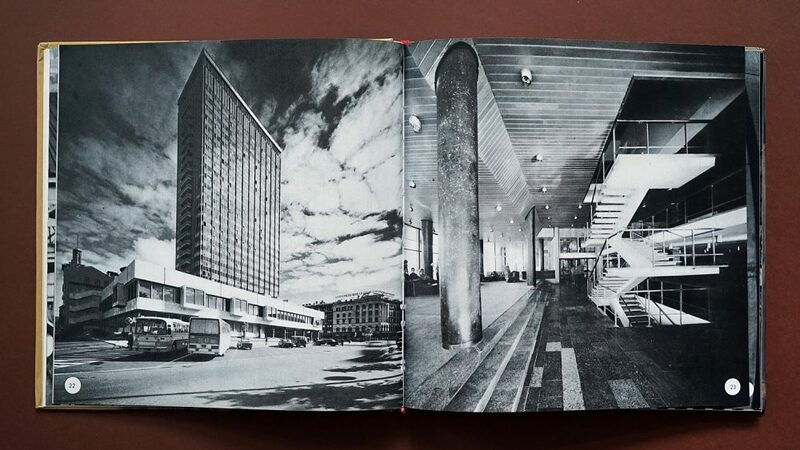 The main value of this book is its shortcomings: the modest quality of the book, the old-fashioned design and the eclectic selection of photographs, in which scrupulous photojournalism is interrupted by lyrical episodes. If such a book was issued much later, we might have obtained much better print and design quality and rationally selected images; however, we would have lost the spontaneity and emotionality that help to shape the spirit of an era for this book. 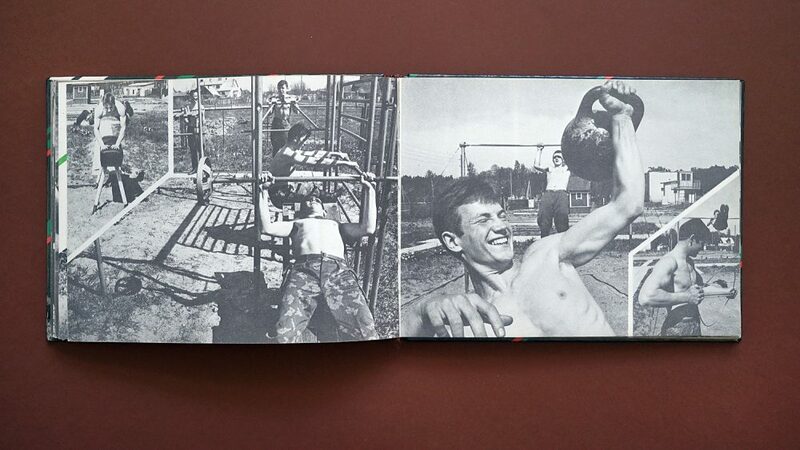 Introducing a photobook from 1989, which was dedicated to the soldiers of the Baltic border guard. FK is continuing to introduce the most interesting Latvian photography books in the previous century.